When I look back on the exciting years of my theological studies, I can only be amazed at everything that is affirmed nowadays concerning the ‘preconciliar’ Church. All of us lived with a feeling of radical change that had already arisen in the 1920s, the sense of a theology that had the courage to ask new questions and a spirituality that was doing away with what was dusty and obsolete and leading to a new joy in the redemption. Dogma was conceived, not as an external shackle, but as the living source that made knowledge of the truth possible in the first place. The Church came to life for us above all in the liturgy and in the great riches of the theological tradition… While in Catholic Germany at that time one could generally count on a joyful enthusiasm for the papacy and a heartfelt veneration for the great figure of Pius XII, the atmosphere in the theological faculty was a few degrees cooler. The theology we were learning was to a large extent by the historical method, so that the style of the Roman pronouncements, couched more in neoscholastic tradition, had a foreign sound to us. 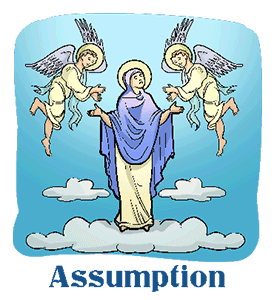 Before Mary’s bodily Assumption into heaven was defined, all theological faculties in the world were consulted for their opinion. Our teachers’ answer was emphatically negative. What here became evident was the one-sidedness, not only of the historical, but also of the historicist method in theology. ‘Tradition’ was identified with what could be proved on the basis of texts. Altaner, the patrologist from Würzburg (who also had come from Breslau), had proven in a scientifically persuasive manner that the doctrine of Mary’s bodily Assumption into heaven was unknown before the fifth century; this doctrine, therefore, he argued, could not belong to the ‘apostolic tradition’. And this was his conclusion, which my teachers at Munich shared. This argument is compelling if you understand ‘tradition’ strictly as the handing down of fixed formulas and texts. This was the position that our teachers represented. But if you conceive of ‘tradition’ as the living process whereby the Holy Spirit introduces us to the fullness of truth and teaches us how to understand what previously we could still not grasp (cf Jn 16:12-13), then subsequent ‘remembering’ (cf. Jn 16:4, for instance) can come to recognize what it had not caught sight of previously and yet was already handed down in the original Word. But such a perspective was still quite unattainable by German theological thought. In 1949, I think, Gottlieb Söhngen held forth passionately against the possibility of this Marian dogma before the circle for ecumenical dialogue presided over by Archbishop Jäger, of Paderborn, and Lutheran Bishop Stählin (the circle out of which the Einheitsrat, or ‘Council for Unity,’ developed later on). In response, Edmund Schlink, a Lutheran expert in systematic theology from Heidelberg, asked Söhngen point-blank: ‘But what will you do if the dogma is nevertheless defined? Won’t you then have to turn your back on the Catholic Church?’ After reflecting for a moment, Söhngen answered: ‘If the dogma comes, then I will remember that the Church is wiser than I and that I must trust her more than my own erudition.’ I think that this small scene says everything about the spirit in which theology was done here –both critically and with faith. As you think through this vignette as told by Ratzinger, it really does seem to “say everything,” almost in parable form, about magisterial development of doctrine and its fraught relationship with historical evidence.